In the years following World War II, the United States Air Force began developing a new weapon based on two existing ones: the V-2 rocket from Germany (built by a man named Werner von Braun – who later designed the Saturn V moon rocket after being granted asylum by the U.S. after WWII), and the most terrible of all weapons ever devised by men, the nuclear bomb. The fusion of these two technologies was a simple idea, really: make a missile that could be guided to a target, and strap a nuke on the front. 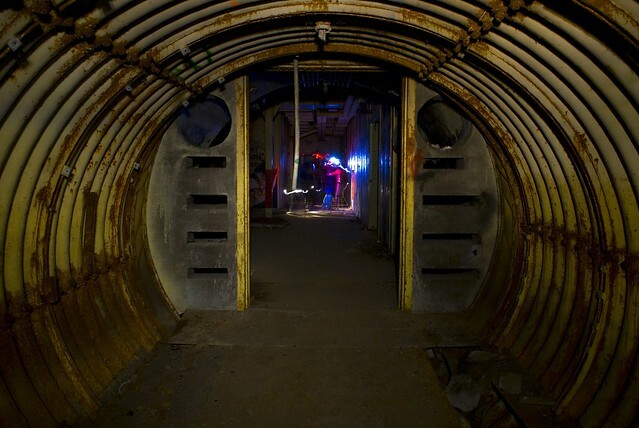 The crew entrance to an abandoned Titan I missile silo in the middle of nowhere, Colorado. What they came up with around 1955 was a twofold program. The Atlas missile, which was lighter (its skin was no thicker than a US dime or UK 5p coin) and had less payload, and the appropriately named Titan missile. 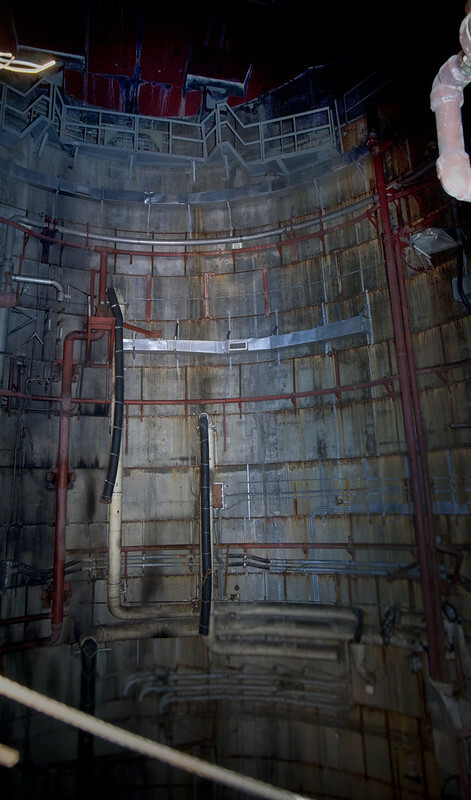 The Titan was built to be the Atlas’ big brother – bigger warhead, more range, hardened shelters (ie: underground silos). Each had a two stage liquid fueled rocket with a range of 5,500 nautical miles (10,200 km); more than enough to get the warhead to the heart of Mother Russia. The propellants, cryogenic liquid oxygen and RP-1 (which is basically super-refined kerosene), were tough to handle since they ignited on contact – and they packed a wallop. 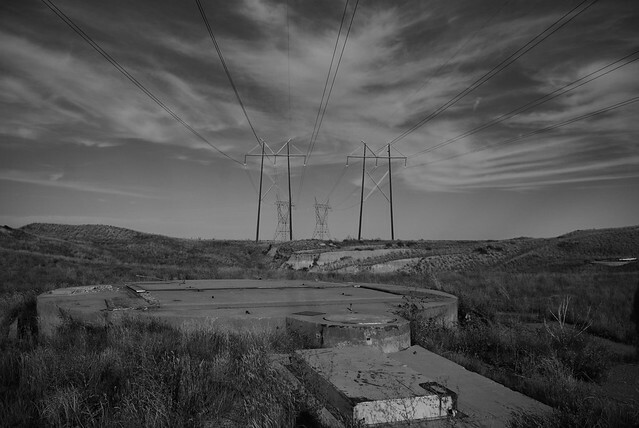 The first test facility at Vandenburg AFB was destroyed when its missile was lowered into its silo too quickly – rupturing its skin and allowing the propellants to mix. The result was a blast which threw the silo cap hundreds of feet into the air – in several multi-ton pieces. Ouch. These missiles were deployed for the first time to silos at Lowry Air Force Base in Colorado in early 1960. Through the Cuban Missile Crisis, the Titans at Lowry stood on launch alert 24 hours a day – ready to send the 4 megatons of apocalyptic fire attached to each missile straight to Havana, or Moscow, or practically anywhere else in the world President Kennedy wanted to send them. 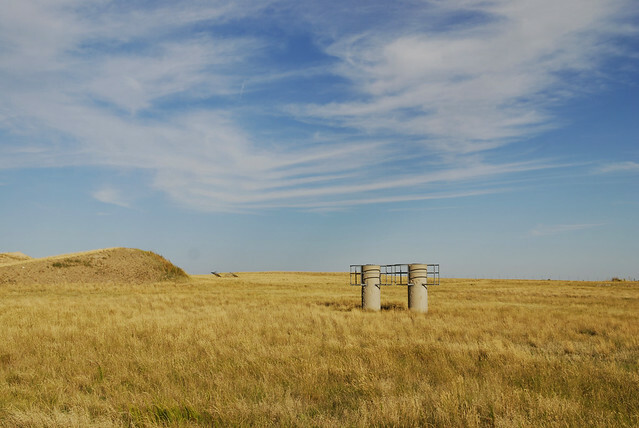 After they were closed down in 1965 – that’s right, just five years later – the land was sold to various farmers who did some salvage work, usually taking copper piping and the steel plate floors from their silos. In this case, Farmer Bob dug up one of the giant diesel tanks that held fuel for the complex’s generators. 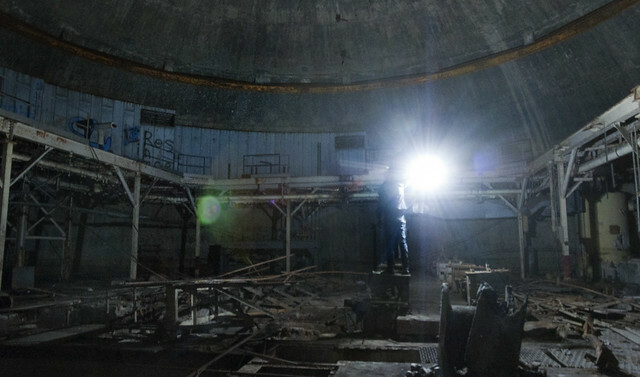 The resulting giant hole in the ground gave us an access point that is found in no other Titan site – a maintenance corridor to the second floor of the power dome, a giant 60-foot-tall room that held the generators for the complex. 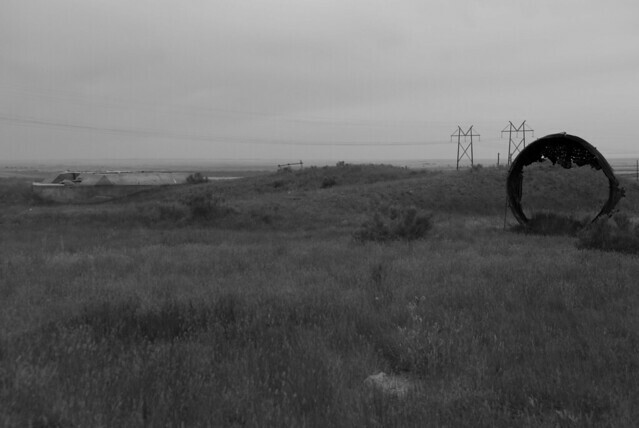 One warm May night, we ventured out into the moonlit Eastern plains of Colorado to explore this relic of the Cold War. The team that night consisted of myself, Tunnelbug from California, Secretdestroyers from Pittsburgh, and locals Lexiphoto and Orogeny. We parked our jeep a mile from the site and began the long walk back in. After finding our entrance, we emerged from the maintenance corridor and descended the steep stairway from the second level to the first of the powerhouse. Condensation drops clung to every surface, giving off an unearthly shimmer wherever the light from our headlamps touched them. The scale was immense. 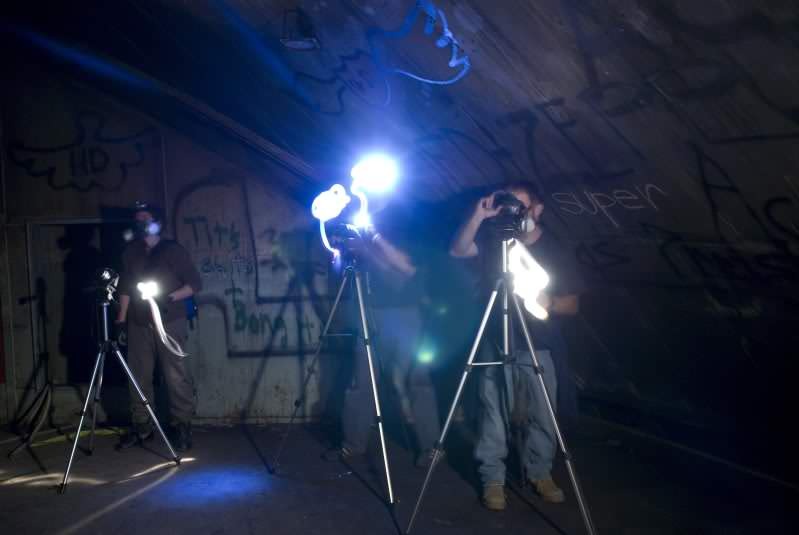 We stood in a room 60 feet high by 160 feet across, 40 feet underground in the middle of Farmer Bob’s field. The 60-foot-high powerhouse of complex 725B. 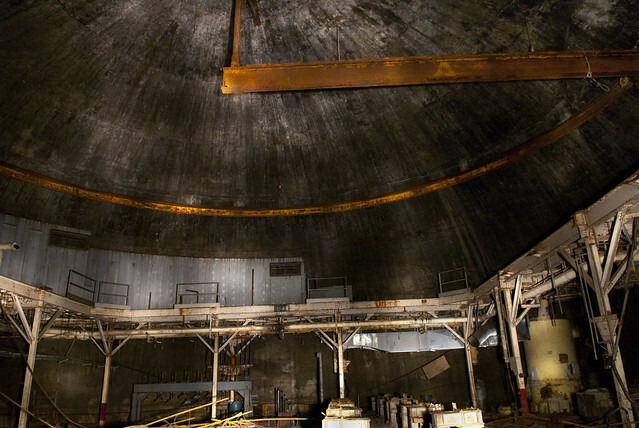 The ring around the top of the dome held a gantry crane used to move heavy machinery around in the limited space. The complex smelled of all sorts of nastiness. These silos were laden with PCBs, asbestos, airborne lead, diesel, and all manner of chemical solvents. Our respirators were quickly donned, and added yet one more layer of unearthliness to the expedition. We were visitors in a very alien place, one which few are privileged (or stupid) enough to see; a place that once held the power to end the world – literally. Though the weapons once housed here contained weapons-grade plutonium, thankfully there is no danger from residual radiation. One less thing to worry about, at least. 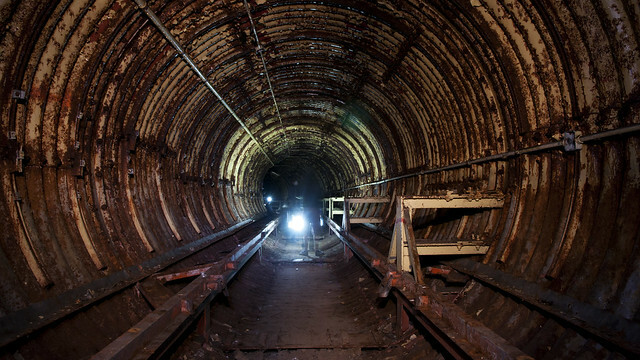 These blast doors still moved without a squeak after 65 years underground. The tunnels were damp, but passable. The steel plate floors of the complex had long since been scrapped, so we were reduced to walking on the dirt of the tunnel floor. 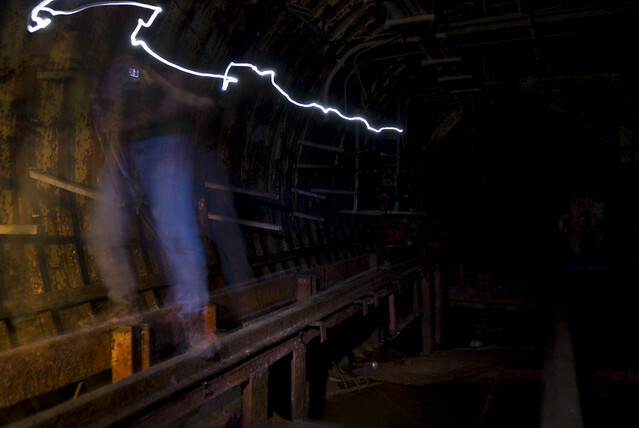 Tunnel junctions were a different story, as they were dug deeper to accommodate the various fuel and electrical lines. 65 years later, through water infiltration and seepage, they had become moats. Due to the lack of floors, these moats require a special method of movement to conquer them: beam walking. Keep your feet parallel on the steel beams traversing the moat, shuffling along so as not to lose balance. It gets easier with practice. Danarchy crosses a tunnel junction moat on Expedition #2. All forms of nastiness reside in the “water” beneath his feet. Control lines for the missiles remain intact. The Titan Is were guided to their targets, but unlike today’s smart bombs and missiles, the invisible hand directing the flight was not in the missile, but on the ground. 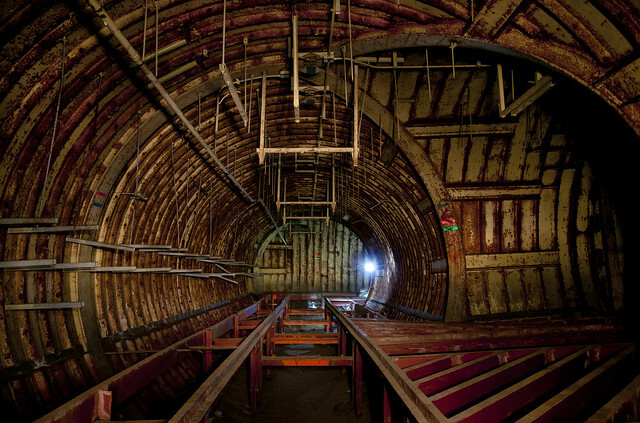 Two smaller silos at the far end of the longest tunnel in the complex held radio antennas that would beam target information to the missiles in flight, as they cruised high above the Earth’s atmosphere. 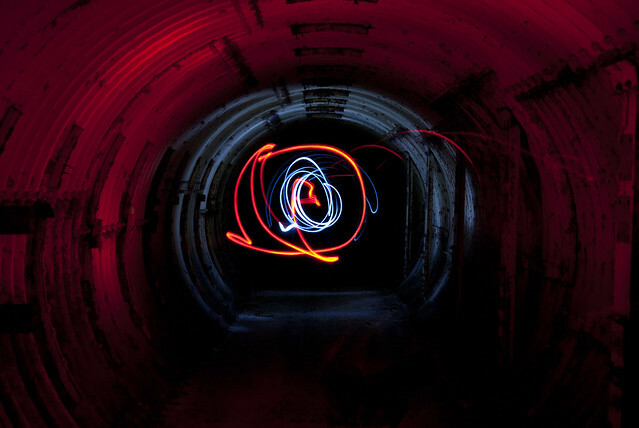 Though these silos were now empty, they still made for good light painting practice. 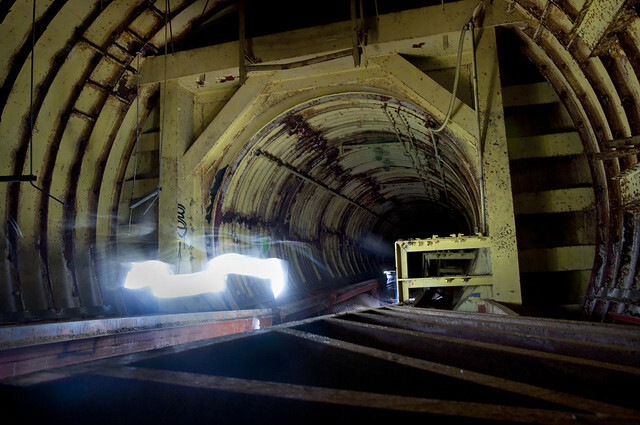 Lighting up the nearly half-mile long tunnel to the antenna silos. Up top, these concrete targets were used to calibrate the radars and computers that guided the missiles. The missile silos themselves loomed ahead. 160 feet from top to bottom, they originally held a complex latticework of steel that supported the giant rocket within it. The Titans did not burst from their silos on a pillar of flame like later ICBMs. The missiles were fueled in their holes, and huge hydraulic rams would move the immense reinforced concrete doors covering the silo. After the doors were opened, the missiles would be hoisted up to the surface on a massive elevator attached to the cribbing, and launched. The whole process took 15 minutes for the first missile, and 7 minutes each for the last two. Only one could be armed and fired at a time. 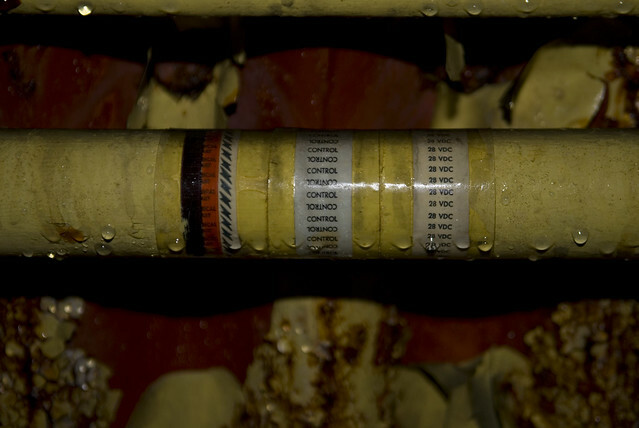 This lengthy procedure was one reason they went obsolete so quickly, the other being the liquid fuel. Liquid oxygen had to be kept at cryogenic temperatures requiring a lot of specialized equipment, and could not be stored in the missiles. By the time the Titans went on line, the next generation of solid-fuel ICBMs were already being designed. The Titan Is would soon be obsolete, replaced by the solid-fueled Titan IIs, which remained in the USAF arsenal until 1987. What once held an unbelievable destructive force was now slowly filling with water. During the rainy season, or after the spring snowmelt, some of the silos fill almost to the tunnel level with water, then they drain through the myriad cracks in the concrete walls. 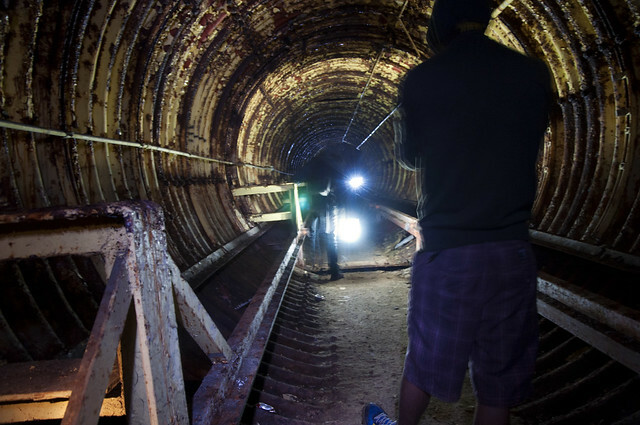 Some enterprising silo owners have converted these to indoor SCUBA tanks, but this one was now a watery graveyard for whatever animal was unlucky enough to tumble into the darkness. 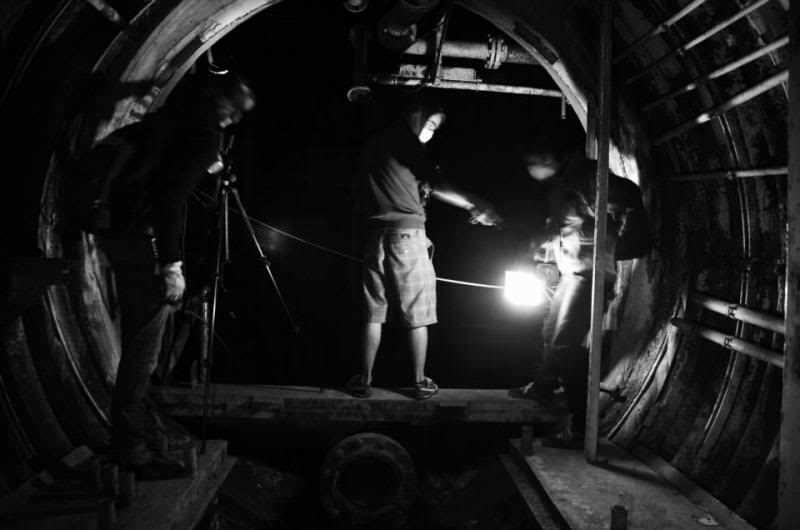 We stood 40 feet under the surface, with 120 feet worth of tangled metal and water below. It was an awe-inspiring experience knowing that this place once held such a terrible power. Each Titan I missile carried a 4 megaton thermonuclear warhead – more than enough to turn Moscow or St. Petersburg into a glowing, radioactive mass. The Little Boy bomb that leveled Hiroshima was a mere firecracker at 15 kilotons. 1 megaton of explosive equivalent, when converted to commercial kilowatt-hours, produces enough energy to power the average American house for 103,474 years. And this complex housed not one, but three of these bastards. Walking with a big stick indeed. The control center was our last stop, a two story structure similar in size to the power dome, but a bit smaller. 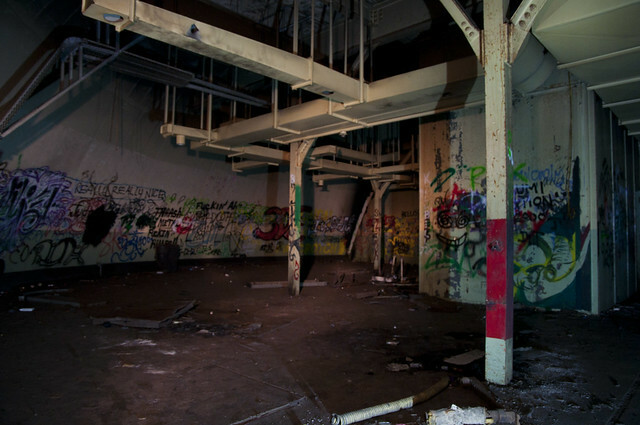 Its panels and computers long since removed, the nerve center of the complex was now home to graffiti, dead snakes, and empty beer cans. What must have gone through the minds of the men charged with the duty of being ready to annihilate the world I can only imagine. 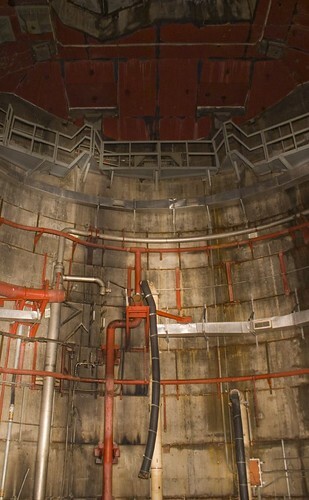 The entrance to the two-level control dome. The photographers take their shots in the control center. 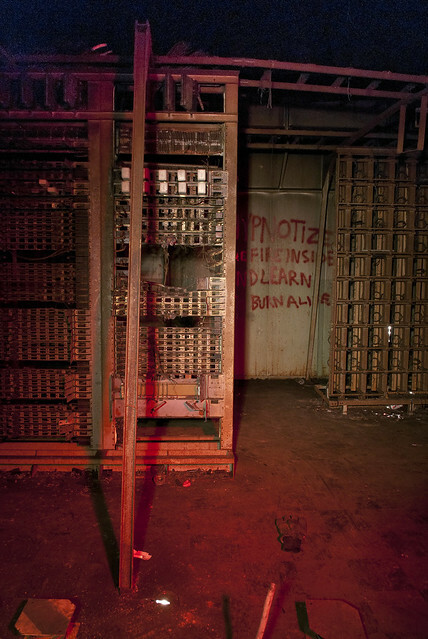 These racks held launch control computers and telephone equipment. 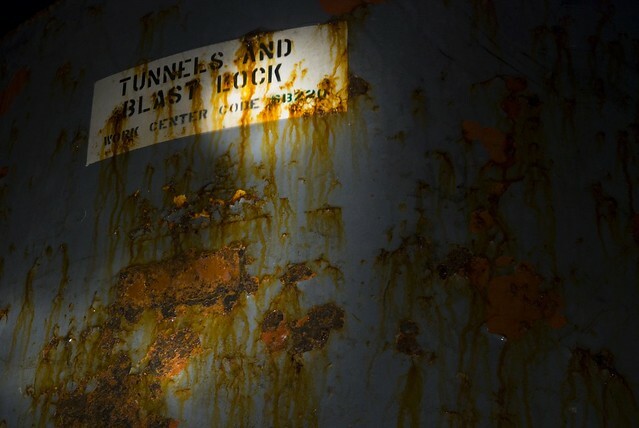 We emerged from the silo around 4am, exhausted and smelling like eighteen different kinds of chemicals, but with a new respect for the ground beneath our feet which holds a testament to the destructive power of men – and the sheer ridiculousness of the nuclear arms race. All those millions upon millions of taxpayer dollars were spent on holes in the ground which were only ‘useful’ for five years. 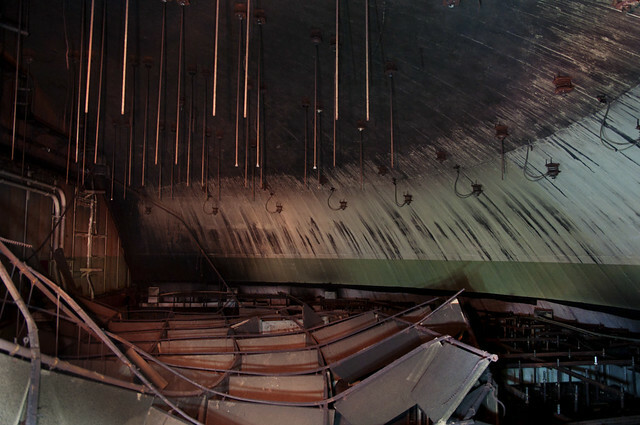 Now this huge facility rusts in the ground, only giving up its secrets to those brave (or stupid) enough to enter. 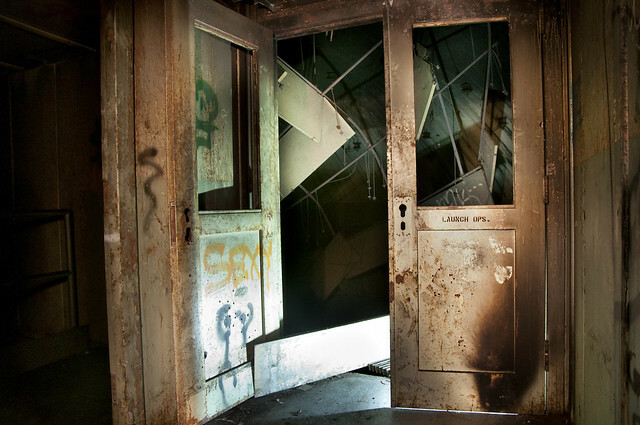 More photos from inside the silo right here.